Our client decided it was time to move from his large traditional home to a more urban setting. He purchased two condos in a boutique building and made it into one large unit, designed to suit his lifestyle. We were able to help our client furnish his home with all new custom furniture and millwork. 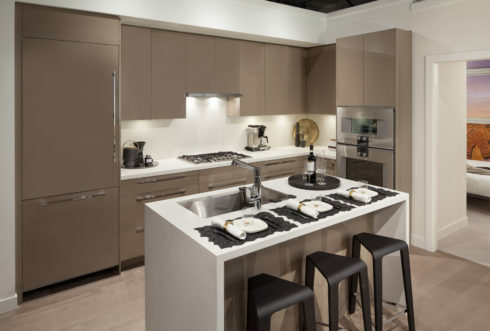 The space was designed and built to maximize storage and yet have a clean and modern feel.